If you need specialist removal services in Seaforth, then book Moving Smoothly to have you home or office packed and unpacked with complete professionalism. Moving Smoothly has been helping Seaforth residents move for many years and can tailor moving packages to include any budget. Our service is personalised to each client and we offer complete removalist services. From packing and cleaning your old property, and setting up your new property with all furniture and items unpacked. To packing service options that include de-cluttering and garden maintenance to have properties ready for the market. Or we can offer styling of your new home as part of your unpacking service and have your home ‘walk in ready’. At Moving Smoothly we provide services not expected by your usual Seaforth removalists. You can book our tailored removal service or simply save yourself the hassle of packing and book our popular pack and move option. At Moving Smoothly we are a team of ladies that have extensive experience in complete packing and unpacking services. Our team includes home stylists and home organisers that understand how to make moves stress free and simple for our Seaforth clients. We co-ordinate removal services and ensure your move goes smoothly. Speak to us today and ensure your move date is booked into our calendar. Our Seaforth moving service is very popular and we endeavour to fit in all requests, but do advise you book as soon as possible. Our team at Moving Smoothly offer professional packing services in Seaforth and are here to help with all tricky or simple removalist needs. Contact Moving Smoothly today with any questions or to ensure your move date is booked and made stress free. 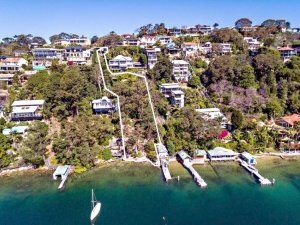 Located 12kms north-east of Sydney, Seaforth is a leafy and lush suburb in the northern beach area of Sydney. A seaside suburb that includes all the best aspects of living in Sydney. Seaforth is connected to Mosman by the Spit bridge and overlooks the pretty Middle Harbour. The 2011 census highlighted this area as being populated by families with young children. Well serviced by Seaforth Public School and Balgowlah Boys High School. Parkland and recreational spaces are found in Seaforth and local shopping is not a problem.